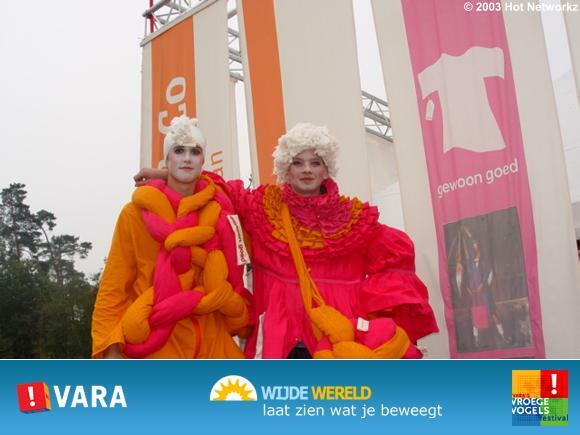 Dark Star created a costume for a stilt walker, on behalf of the Goedewaar platform for the aware consumer. 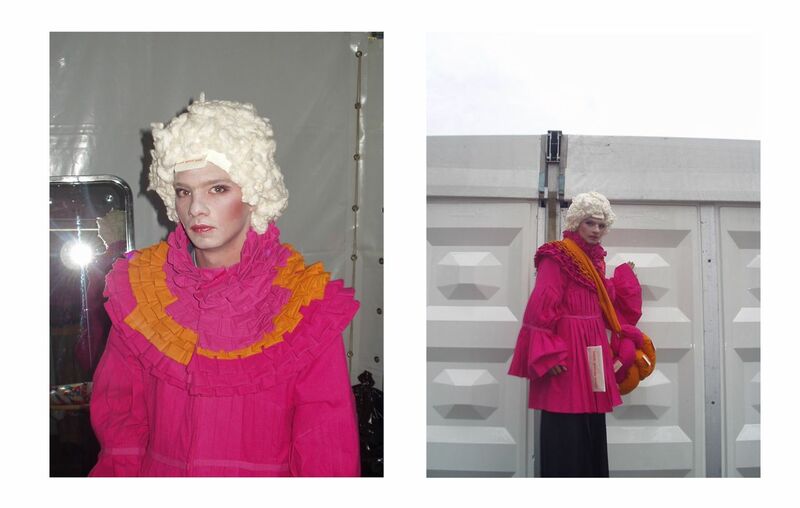 Goedewaar made the choice for organically grown cotton, died in bright pink and orange colors, providing a colorfull accent to the event. 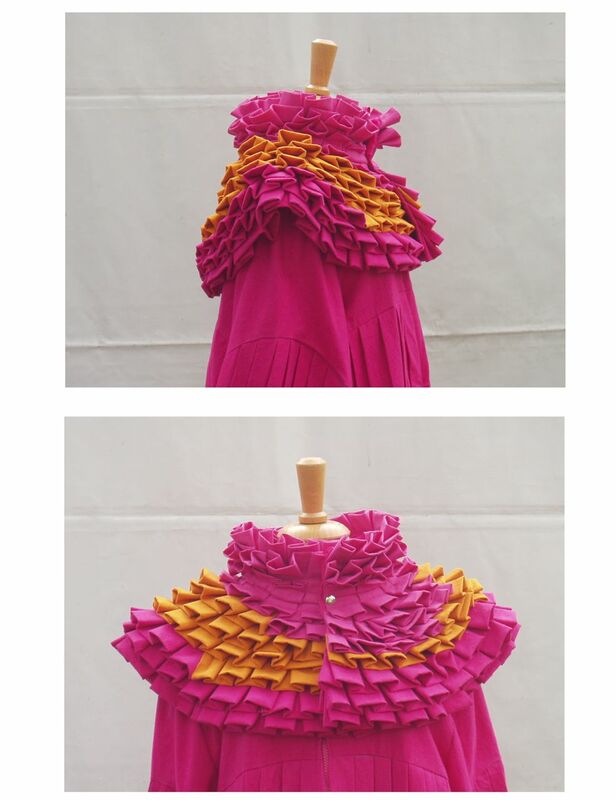 The costume expressed the joys of nature through intricate pleatings and numerous frills forming a flower like form. Other talented artists contributed with a bag, and a beautiful head piece made of cotton buds. “Vroege Vogels″ – 2003 – Apeldoorn – The Netherlands.